Contractor Name Gayatri Projects Ltd. Consultant EGIS – BCEOM International Ltd. The National Highway connecting Meerut to Muzaffarnagar needed a site solution that would not only be aesthetically pleasing, technically sound but would also create a seamless travel at all the Meerut – National Highway intersections. Strata Geosystems (India) Pvt. 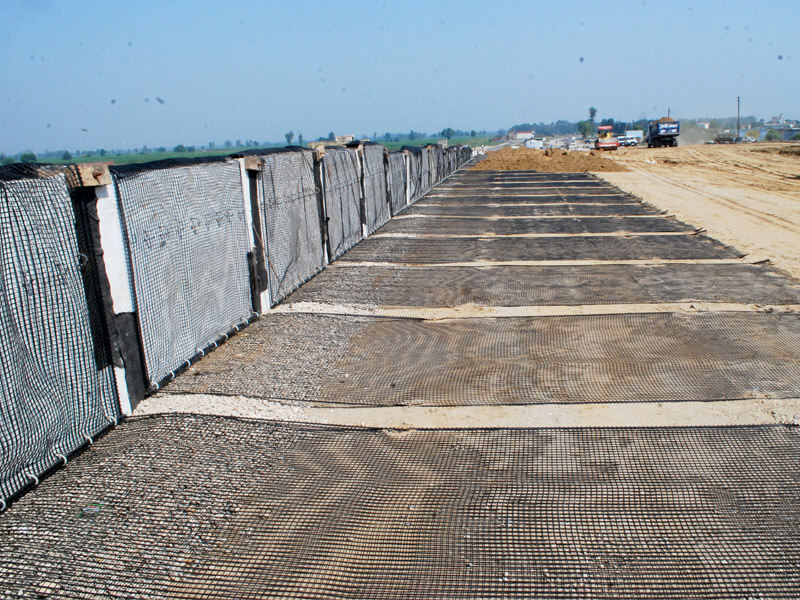 Ltd. along with Gayatri Projects Ltd. was involved in the construction of Geogrid reinforced soil wall approaches to the VUPs on the Meerut –Muzaffarnager stretch. 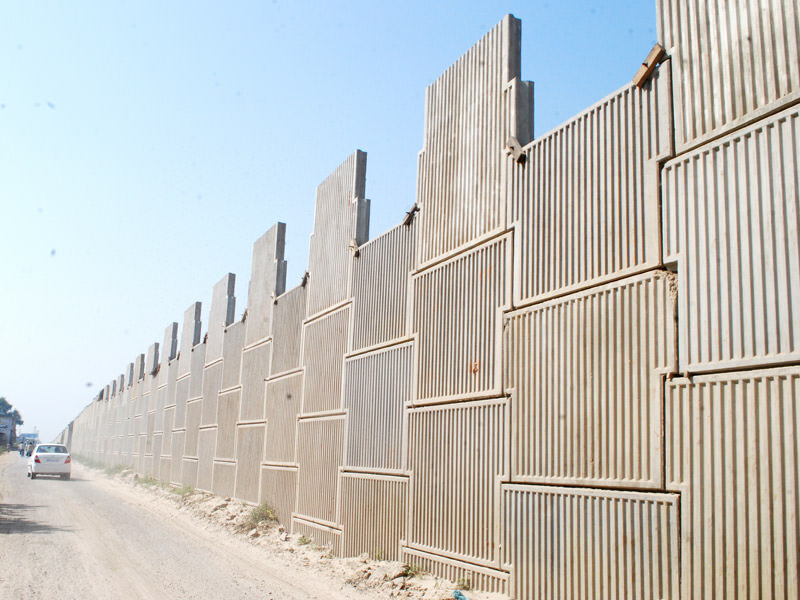 The system offered was a combination of StrataGrid reinforced soil wall with a panel fascia- StrataWall. 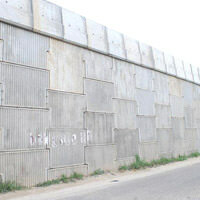 The biggest hurdle lay in the designing of the walls involved, as it was identified that the side walls were making an acute corner with the abutment and sufficient space was not available to place the StrataGrid. Compaction of soil in the acute corner presented several difficulties. The design and detailing of the soil reinforcement for the acute angle corners was a challenge. This required innovative and lateral thought process. 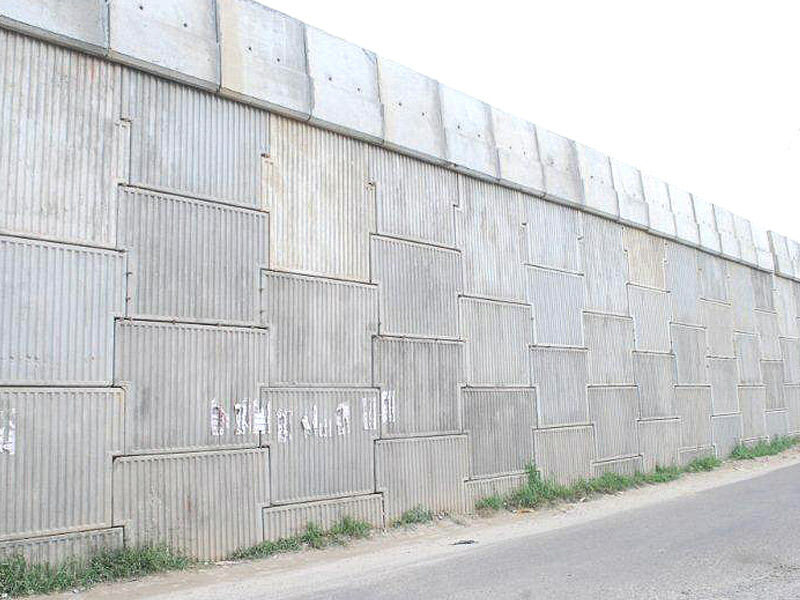 The design of the structure was carried out by the competent design team at Strata Geosystems (India) Pvt. Ltd. with inputs from design consultants- LEA Associates South Asia Pvt. Ltd. 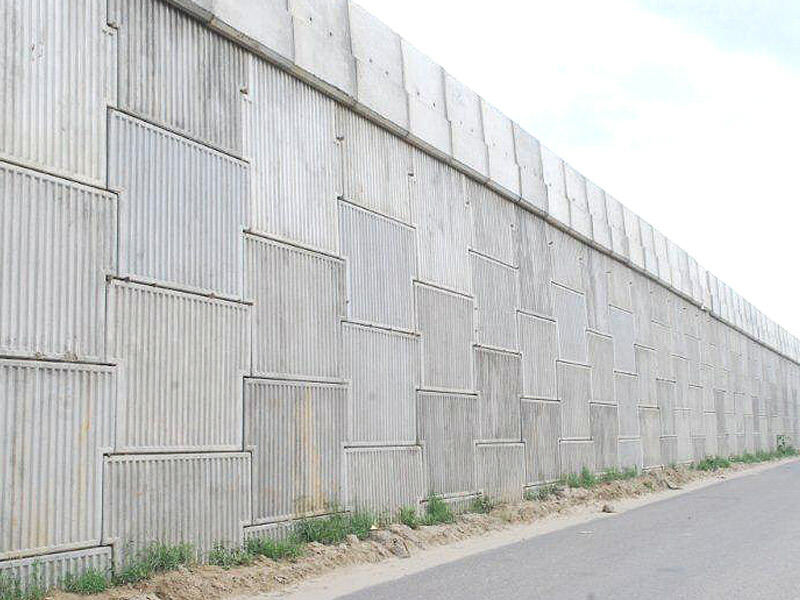 The facing comprised of Panel fascia - T-shaped panel wall which is an extremely stable system and ideal for tall reinforced soil walls. 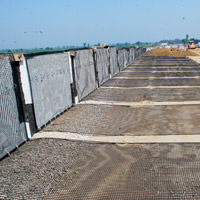 While constructing a reinforced soil wall the geogrid is laid perpendicular to the fascia, which was not possible here due to the space constraint caused by the acute corner. Thus the StrataGrid was laid parallel to the abutment wall and at a distance from the panel. 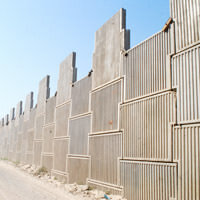 Special bidirectional loops for this purpose were used and as an additional safety measure panels were anchored with the abutment through steel strips. Since compaction in this narrow area was an important task, Strata used coarse grained soil. 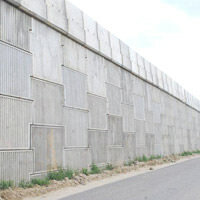 The design of the walls were carried out using the Federal Highway Administration – National Highway Institute (FHWA-NHI) guidelines and comprised checks for external, internal and global stability under static and seismic conditions. The design calculations and construction drawings were proof-checked by EGIS – BCEOM International Ltd.
Strata Geosystems not only provided solutions and raw materials but also oversaw that the construction was completed in the given time period. To meet the requirements of the heavy traffic flow on the National Highway, work was completed within the time frame provided i.e. less than 8 months. Subsequently, post construction structural audit had been carried out by QC team of Strata which suggests that the performance of the structure has been impeccable. Strata Geosystems (India) Pvt. Ltd. did not only help the project meet its deadline, but also help maximize the development’s profitability to the owner/client by allowing it to open on schedule.